[Our News] Christian Gospel Mission, Wolmyeongdong Rock Treasure, Life Treasure Festival Successfully Ended. The Christian Gospel Mission (President Jung Myeong Seok) began ‘The Third Rock Treasure & Life Treasure Festival in Wolmyeongdong (WMD)’ with an opening ceremony on September 28, 2013, and held various culture and sports events throughout until October 27, 2013. The National Soccer Tournament was held in WMD from October 10th to 12th. Fifty-three teams, a total of 1000 players including The National Club Team and each department, participated in this event which preceded The Worldwide Tournament as an introductory tournament. 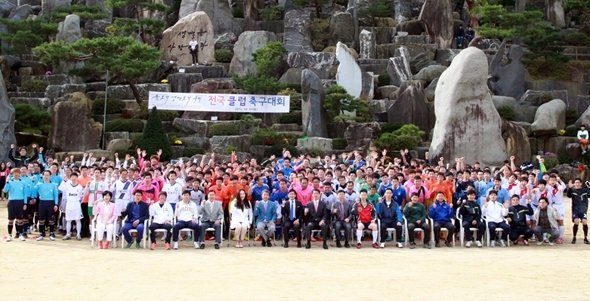 Unlike other soccer tournaments, this event followed the example President Pastor Jung Myeong Seok set as an event of peace and harmony. Opposing teams were regarded as lovers, and playing soccer was considered as having service with the Holy Trinity. The event coordinator said, “We will continue Pastor Jung Myeong Seok’s mentality of ‘Putting Love Toward Heaven into Action’ in every area and department, full of love”. Following the soccer tournament, the dance contest, ‘Move with the Sound of God,’ was held on October 19th, and was followed by many other cultural events such as ‘The Dance Festival and Korean Traditional Music Festival with New Songs,’ until the 27th. The Dance Contest on October 19th began with an opening performance with professional cheer, jazz, and hip-hop teams, which was held as a contest to give glory to God by dance teams from seven different regions with their own unique characteristics. The event came to a great finale with the performing group ‘Glory” giving glory to Heaven on stage before the final screening. ‘The Music Concert Celebration of the Holy Son’s House of Love’ was hosted in the Holy Son’s House of Love with its beautiful melodies starting at 2 PM on October 20th. The professional orchestra, which comprised of 30 people, presented beautiful music to God with 12 songs for an hour and a half. Most of the songs were written and composed by Pastor Jung Myeong Seok. The Music Contest for poems and stories, ‘White Lily in The Holy Land,’ was held by the Light Music Department on October 26th. It started with a congratulatory message by Pastor Jung Beom Seok, who spoke on Pastor Jung Myeong Seok’s behalf, and recited poems from ‘The Woman of Poem’ and ‘Talking Through a Poem’, which were also from the 1st and 2nd bestsellers list, along with melodious sounds that touched peoples’ hearts. 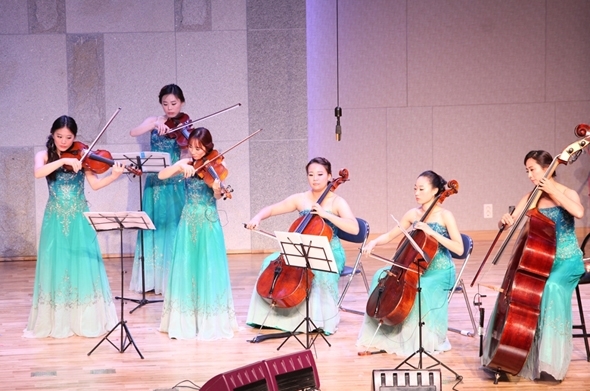 ‘The Second Dance Festival and Korean Traditional Music Festival with New Songs’ was held on October 27th by the Heavenly Dance Department and Korean Traditional Music Department as the last cultural event for The Rock Treasure & Life Treasure Festival. The heavenly dance and traditional music were synchronized with the video of Pastor Jung Myeong Seok’s stories, which was full of grief and left sad feelings among the audience. In addition to the culture and sports events, every beautiful, mysterious, and majestic rock and tree [in WMD] has a unique story. So people were able to listen to them throughout the tour during The Rock Treasure & Life Treasure Festival with a beautiful autumn flavor.